For a quiet, comfortable retreat to discuss business strategy or an opportunity to bond with colleagues, Battel Hall offers a secluded and luxurious environment. The Maiden’s Tower is ideal for meetings, conferencing and corporate dining. Ideal for your private meetings as theatre or boardroom style functions. Now sold out for 2018 - The Maiden’s Tower, a private medieval venue on the historic Castle island, with it’s own garden, function rooms and 5 beautiful en-suite bedrooms. The Castle’s scenic 9-hole, par 33 golf course is a popular choice to entertain clients or as part of a longer conference stay. Its combination of blind tees, strategically placed bunkers and medieval moat provide challenging and rewarding holes from start to finish. Due to high demand we added an extra night of murder and mystery. Call our Hospitality Team on 01622 767855 to book a thrilling office party! 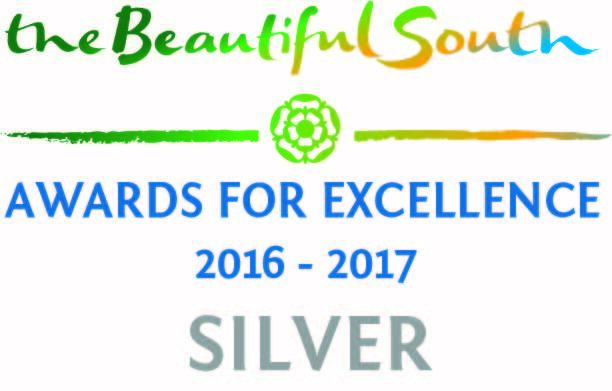 Leeds Castle were immensely proud to win ‘Silver’ for our ‘Venue & Business Tourism’ offer. This award is handpicked by the Kent Digital Award team for going above and beyond the norm in the promotion and betterment of the county of Kent through their digital work. Leeds Castle welcomes residential guests and provides a glamorous setting and luxurious home in which to entertain your top clients, incentivise your work colleagues or bring together like-minded groups. Our team can tailor a full programme to suit your requirements during your stay and ensure everyone has a memorable, ‘money can’t buy’ experience. We provide the finest hospitality from the moment you arrive through the front door of the Castle, with use of the beautiful state rooms, the sumptuous bedrooms and if you so wish, special entertainment to accompany your evening meal, from 1930s themed music and cocktails to a medieval banquet with King Henry VIII himself. The wider estate offers ample space for organised daytime activities such as golf, falconry, archery, corporate treasure hunts, Segway tours and Go-Ape! ; and for longer stays, we are perfectly situated with fast connections between London and Paris. It is an ideal setting for you to bring people together and achieve your business objectives, whether they be for reward, incentive or developing new partnerships. Speak to a member of our Hospitality team today to find out more about luxury incentive travel at Leeds Castle. After the day visitors have departed, guests can make themselves at home and experience the unique atmosphere of the Castle at night. The banqueting service, is tailored to meet your exact requirements. We can advise on everything from menus and selection of fine wines to flowers, and place settings. Our butler and his team provide an unobtrusive service throughout your stay. Once you've had drinks in the Library your guests dine in the elegant Dining Room or magnificent Henry VIII Banqueting Hall. After dinner, retire to the drawing rooms to sip single malt over a game of backgammon in front of the fire, play the piano or relax on the sofas in the comfortable atmosphere of a great country house.